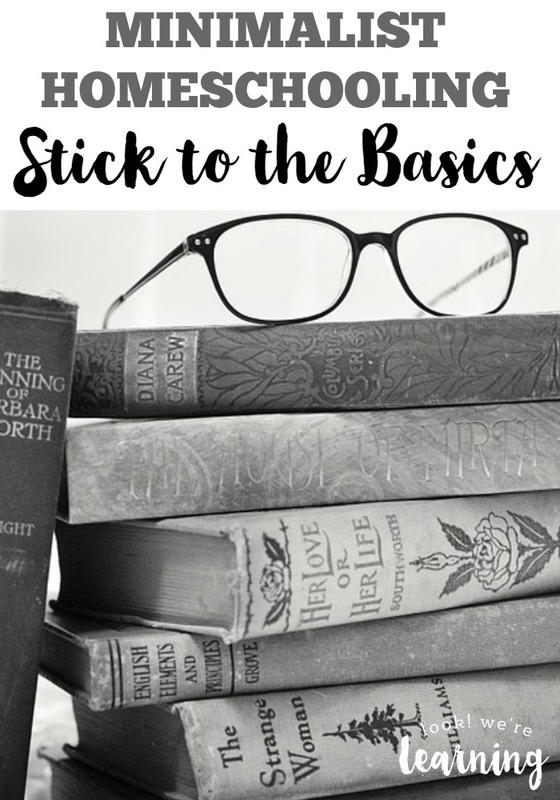 Minimalist Homeschooling: Stick to the Basics - Look! We're Learning! Homeschoolers, let’s have a little chat, shall we? We have a LOT of options and a LOT of flexibility, but we also have the sole responsibility of educating our kids. And sometimes the endless options and choices can shift our focus from providing a good education to providing the bestest, most complete education ever – which is probably impossible. It’s easy to start with a few school subjects at first. Then you add more and more. Next thing you know, your lesson plan has 15 or 20 slots to accommodate extra subjects such as Latin, crafting, foreign language, engineering, and technology. That may work for some, but it has become overwhelming for me. So – this year, I’m sticking with the basics only when it comes to teaching school subjects. Here’s how. Look at your state requirements. What subjects are you required to teach? Start with those! In our state, we are required to teach math, ELA, science, social studies, and reading. When I started to really look at those subjects, I realized that covering them each day is plenty enough for us. Add in other subjects and interests, but sparingly. Say you want your child to study Latin. That’s fine. But do they really need to learn it every single day? Do you even have time to teach it every day? If not, do it once a week and let that be enough. Or: If you finish your required subjects for the year by summer, use the summer for those elective subjects. Leave room for your kids’ interests! Homeschooling isn’t homeschooling if the kids don’t have a little say in the planning, right? Leave a slot or two open for them to explore something they want to learn about. Your day will go much, much better that way. 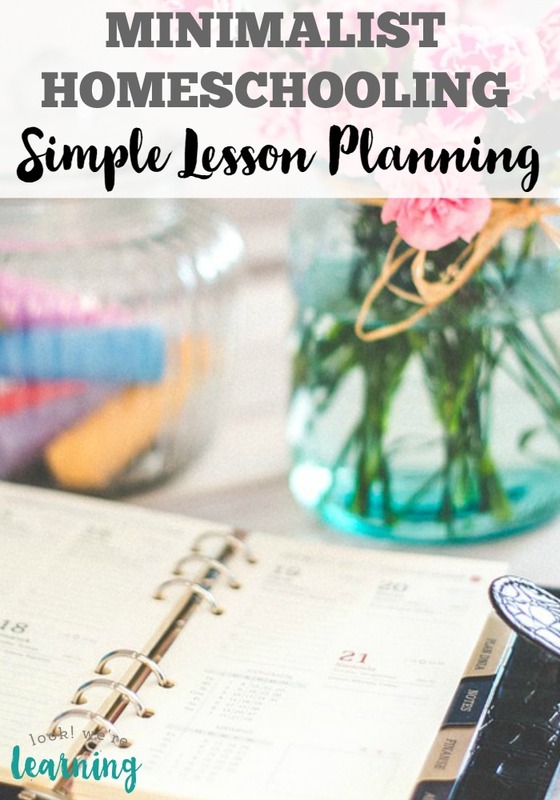 Want to simplify your lesson planning? Take a look at how we’re doing that this year! Get more ideas for organizing your homeschool on my Homeschool Organization Tips Pinterest board! 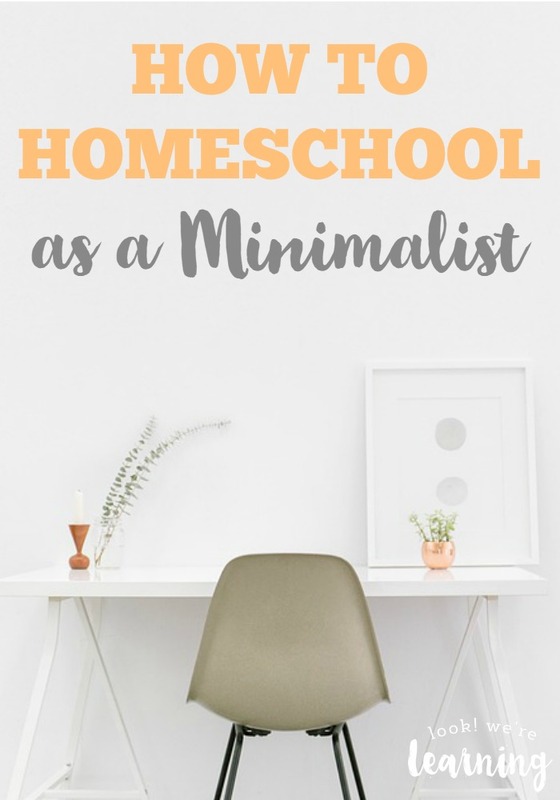 This post is part of the How to Homeschool as a Minimalist series! Stop by tomorrow for Day 8: Teaching Several Kids at Once!